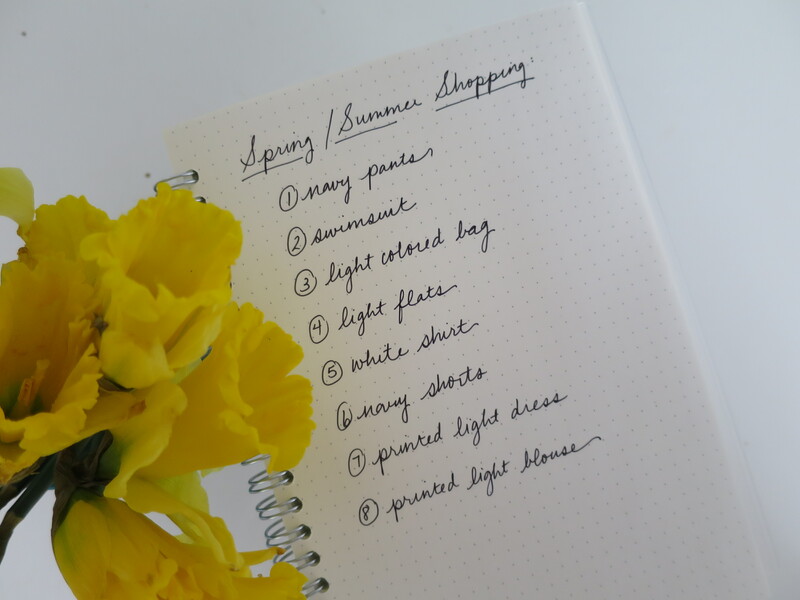 last season, when i put together a shopping list, i didn’t know what to expect. as i said, i am never going to be a minimalist who stops shopping altogether. looking back on the last few months, however, i found that the list helped keep me focused. although i strayed on a few occasions, i also realized that something i thought i wanted (a printed cashmere sweater) was a passing fantasy. emboldened by my (partial) success, i decided to make a new list for this season. the navy pants carried over from last time, because i still have not found the perfect pair (well i have, but they are so expensive, i can’t justify them unless they go on sale). also i love june in nyc. fresh flowers everywhere and the weather is perfect. 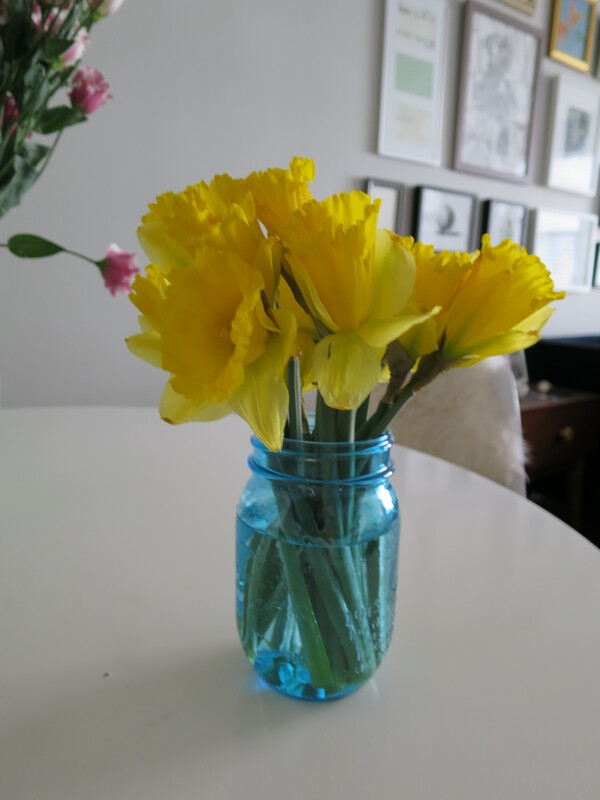 these daffodils look so sweet in a blue mason jar.